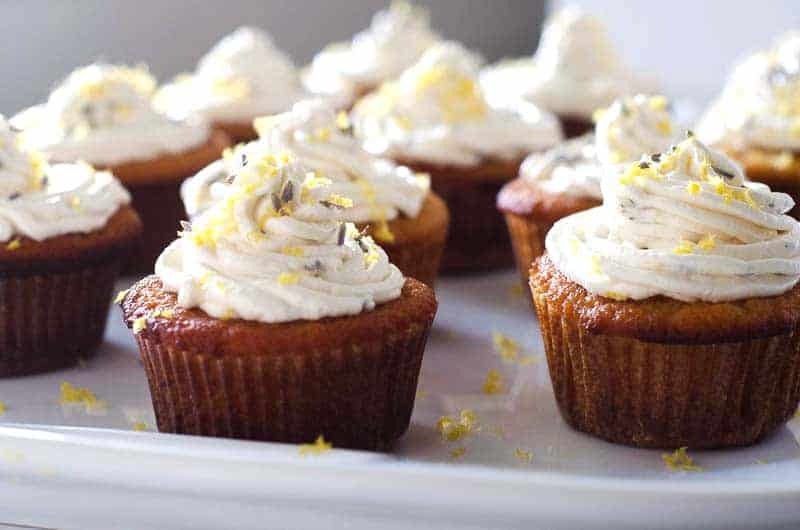 This cupcake recipe for Lemon Lavender Cupcakes is the perfect warm weather treat. Bright and full of flavor, they’re sure to be the favorite dessert at your next party! 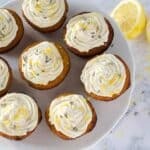 Confession – I’ve been holding onto this recipe for Lemon Lavender Cupcakes for quite some time. They were actually made for me for my baby shower at the CrossFit gym. The same baker who came up with the Pumpkin Cupcakes with Cinnamon Meringue Frosting came up with these little lemon lavender cupcakes of perfection. Now, I do want you to know that I did some experimentation here. Based on the following photo, just trust me when I tell you not to make my mistakes. I was trying to just grease the muffin tin, rather than use paper cupcake liners. Note: THIS DOES NOT WORK. They stick like a mofo. Just save yourself the time and the mess, and use the dang liners. The cakes come out perfect, fluffy, and delicious. I did end up changing the frosting recipe a bit. Her original recipe called for coconut cream. I tried 3 times with coconut cream, and each time, it just failed. Turned into liquidy mush. It seemed like it was because the maple syrup and lemon juice were too much liquid, but it could have been user error. So I switched it up. I had lots of luck with palm shortening for my whoopie pie filling (no I do not have a pumpkin problem thankyouverymuch), so I decided to give it a go here. Perfection. You could just use a knife and frost these cupcakes the easy way. If you feel like being fancy, you can certainly get yourself an icing bag and tips and make pretty peaks, but it’s not necessary. They’re delicious either way. Guess it just depends on how extra you are feeling. You can whip up this icing while the cakes are in the oven. They bake for about 25 minutes, and I swear, when you finally eat one, you’ll never know they’re paleo. 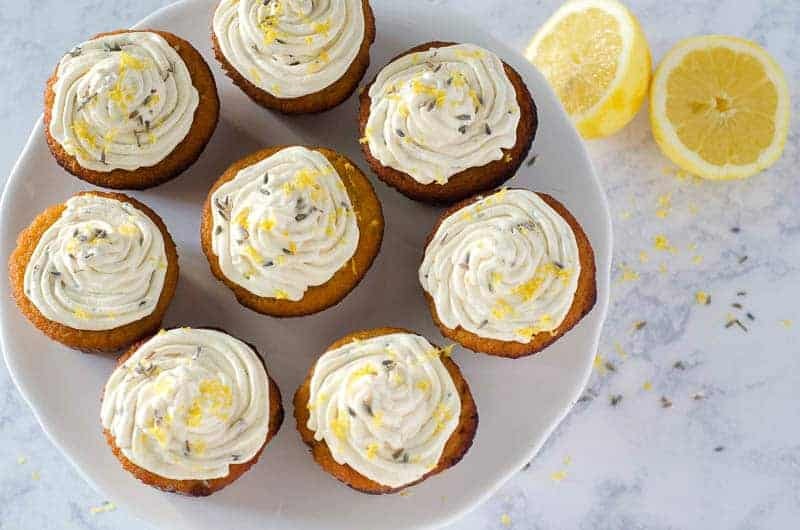 These lemon lavender cupcakes make the perfect springtime dessert. I do recommend the lemon zest and lavender on top as a garnish – they definitely brighten things up! Make sure to use cupcake pan liners. 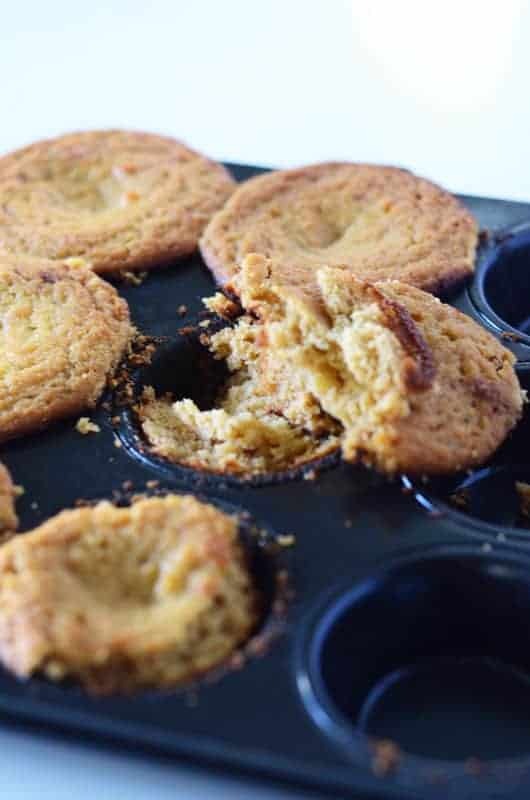 Simply greasing the muffin tin won’t work – they will stick! Only fill your cups about 3/4 of the way full. Overfilled cups will not create puffier cupcakes, but spillover flat tops. After baking, the cupcakes will be a bit sunken in the center. This is normal. Once iced, garnish tops with lemon zest and a sprinkle of lavender. Be stingy with the use of the lavender. Over-use can result in a soapy flavor. Just a touch will do. If you refrigerate the cupcakes after frosting, the frosting will harden. Bring them back to room temp to soften. Frosted cupcakes will store in the fridge for up to a week. If you’ve tried this lemon lavender cupcake recipe or any other of my recipes on the blog, I want to see! Tag me on social media and follow along for more delicious recipes. You can find me on Facebook, Instagram and Pinterest to see more delicious food and what I’m getting into. Preheat the oven to 350F. Line a muffin tin with cupcake papers. In a large bowl mix coconut flour, baking soda, and salt together. In a separate bowl whisk eggs, then stir in oil (slightly cooled so it won’t cook the eggs when added), lemon juice, lemon zest, vanilla, and honey. Slowly (in two sets) mix egg mixture into flour mixture until no lumps remain. 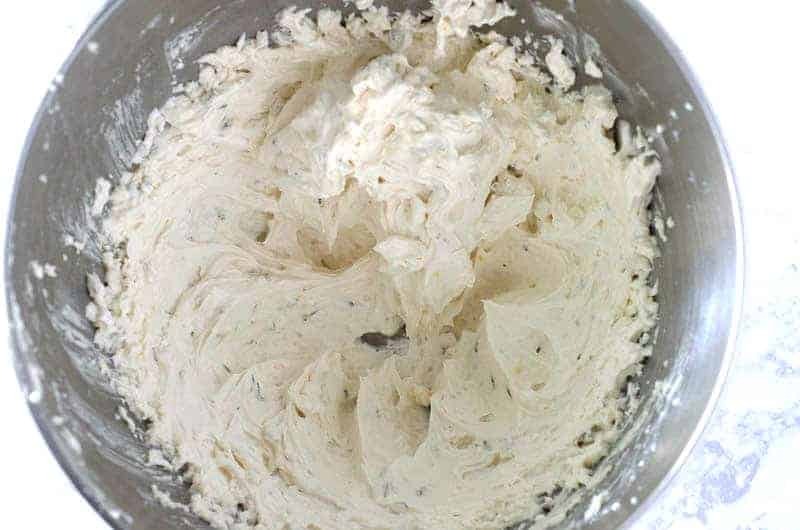 Spoon batter into cupcake paper-lined pan, about ¼ cup or just under per cake-paper. Bake 25-30 min or until a knife comes out clean. While the cupcakes are baking, in mixing bowl combine all icing ingredients. Whip until the shortening gets fluffy and peaks begin to form. Spread on cupcakes or put in a piping bag and pipe as desired. Garnish with additional zest and just a tad bit of lavender. Make sure to use cupcake pan liners when making these cupcakes. Be stingy with lavender – it can easily turn into a soapy flavor so overdoing it is not recommended in any way shape or form! This article contains affiliate links. Read more about ’em here. 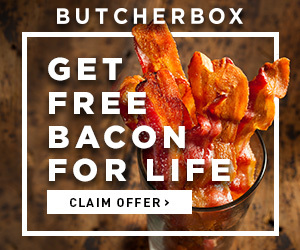 « 2 Free Pounds of Wild Salmon with ButcherBox!